Home Brokers News EZTrader Company News Trouble ahead for EZTrader ? Trouble ahead for EZTrader ? 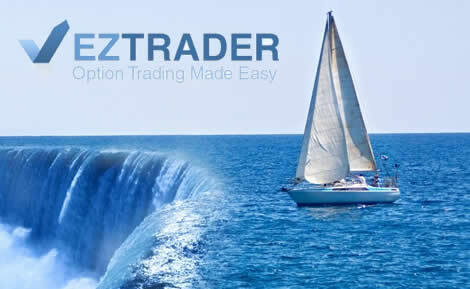 EZTrader is without a doubt a popular binary options trader that is a wholly owned subsidiary of WGM Services Ltd., a financial services company that is registered in Cyprus and authorized by the Cyprus Stock Exchange Commission (CySEC), since March 2014. Not long ago we were reporting on the fact that during the first half of 2014, this particular broker had achieved a record in terms of customer growth with a remarkable increase of 145%, while it also announced that it had filed documentation with the U.S. Securities & Exchange Commission (SEC) to register its shares of common stock with the SEC to later allow re-quotation of such shares on the OTCQB market, an indication that it meant business and that the future ahead would be bright. Furthermore, and adding to the broker’s successful profile was the series of sports sponsorship deals it had concluded in the recent past. These have included the German club Bayer 04 Leverkusen and the Dutch club Feyenoord Rotterdam, as well as the Swedish team Aik Fotboll AB, while it was only a few days ago that EZTrader announced reaching a deal with the German Handball Federation DHB to become the main sponsor of the German national women’s handball team. Therefore, taking into account the broker’s recent successes in terms of customer growth and revenue generation, as well as its active and innovative as well as high-profile marketing efforts, it is indeed surprising to learn that according to an announcement released today by the Cypriot regulator CySEC, the financial services license of parent company WGM Services Ltd has been suspended due to what are described as “suspicions of alleged violations” of three separate sections of the jurisdiction’s Investment Services and Activities and Regulated Markets Law. Own Funds – on the capital adequacy of investment firms. CIFs large exposures – on large exposures. The news of the CIF license suspension is particularly alarming also because, besides EZTrader, the company also owns and operates GlobalOption.com, EZInvest.com, and 888binary.com, a brand which was developed specifically for the vast Chinese market. We do not have enough information to venture any guesses as to the outcome of this new conundrum, it is hoped however that the suspicions of the alleged violations will not materialize or that the CIF will take the measures required to achieve compliance in the next few days to come, because if such a popular broker loses its license it will be bad not only for the particular broker and its clients and associates, but for the industry as a whole. As the fifteen day period will expire soon we will be closely monitoring the story and inform our readers of any developments.